The Round-Up: AFT and NEA leaders will join the Red for Ed Rally on March 11. Are you ready to fight for a real pay raise? 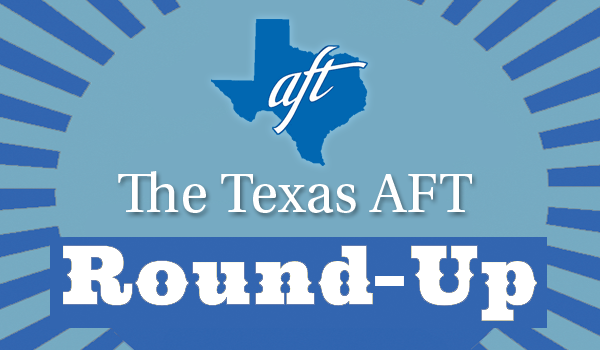 Texas AFT Round-Up: Our newest local union…And save the date for the March to the Capitol! The Round-Up (July 5, 2018) Community schools update; TRS meeting upcoming; Professional Development and More!